Less than a week after intense dust storm killed at least 124 people in Rajasthan, Uttar Pradesh and Punjab and injured more than 300 in two days (May 2-3), another stormy phase is upon us. Latest weather prediction by the India Meteorological Department warns of thunderstorm, squall, dust storm and heavy rain in 19 states and 2 union territories (UTs)—covering more than 58 per cent of the country’s total area. 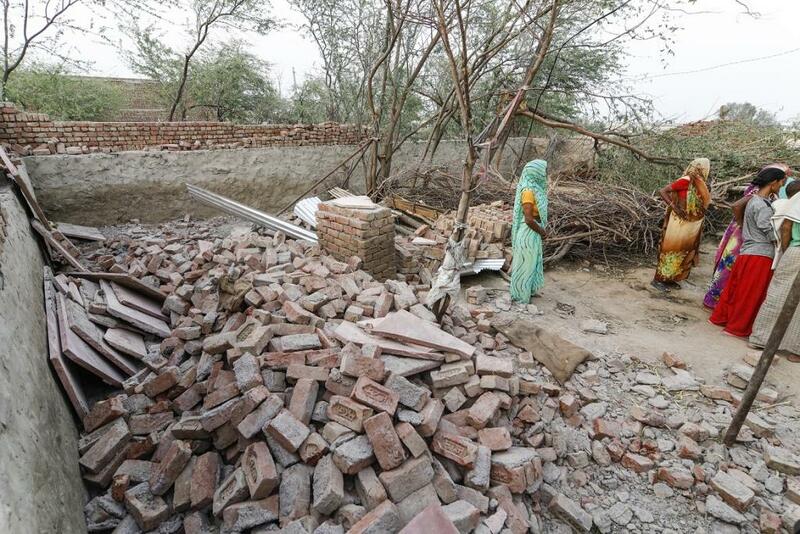 When DownToEarth recently visited Bharatpur district in eastern Rajasthan, one of the worst-affected ones, locals informed that they have not seen such devastating storms in decades. Even the residents in their 70s told our correspondent that they have not seen something of that intensity in their lifetime. More than 2,000 transformers were destroyed and 5,000 cases of wall collapse were reported along the stretch from Bharatpur to Agra, straddling two states. Agra, especially, was reportedly hit by a 132-kmph dust storm. Interestingly, days before the deadly dust storm hit parts of Uttar Pradesh and Rajasthan, IMD had issued a "severe thunderstorm activity" warning for several places, but not for the two most affected states. For May 2, it had predicted thunderstorms accompanied with squall at isolated places over the Gangetic West Bengal and Odisha, but not for Rajasthan and Uttar Pradesh. Rajasthan is once again expected to receive dust storm on May 7. Neighbouring Haryana has already gone into preparation mode, shutting down schools, after the IMD predicted thunderstorm and squall. Even as we write, heavy rainfall and hailstorm is lashing Chandigarh and Uttar Pradesh. According to reports coming in, Mainpuri, Firozabad and Mathura have suffered heavy losses after winds at over 100 km/ph hit the districts followed by hail storm. Electric lines have been snapped in many places and trees uprooted. So, what made these dust storms and a chain of thunderstorms unusually intense and widespread? The answer lies in three factors: unusually high temperatures in northwest India, cyclonic circulation over Haryana and moisture from easterly winds blowing in from Bay of Bengal. Simultaneously, a western disturbance bringing moisture from water bodies in Eurasia. Rainstorms and dust storms have their genesis in long spell of intense heat. Thunderstorms or hail occur when the atmosphere has moisture; in absence of which, dust storms take place. During this time of the year, many parts of India, especially the northern part, witness a build-up of surface heat. Warmer temperature helps in moisture retention and formation of denser clouds, thus, increasing the intensity of thunderstorms. DownToEarth had earlier reported how this summer has been hotter than usual. By the end of April, large swathes of north-western and central India were under the grip of heat wave. “Maximum temperatures were appreciably above normal (3.1°C to 5.0°C) at many parts of Rajasthan; at some parts of Jammu & Kashmir, Assam & Meghalaya and at one or two pockets of and Arunachal Pradesh, West Madhya Pradesh, Madhya Maharashtra and Haryana,” IMD had noted. Hence, the places, which were hit by the storms last week and are likely to experience such activity in the coming two days, saw heat-wave like conditions in the last couple of weeks. With the rise in both minimum and maximum temperatures becoming more pronounced, such stormy phase could become the new normal. Even in 2017, the biggest headline was catastrophic weather changes that brought distress across India’s rural areas, especially to farmers who bore the brunt of weather changes, be unseasonal rain or drought. In a somewhat positive development, the negotiating Parties at the ongoing climate meet in Bonn have agreed upon the roadmap to roll out discussions on addressing climate change impacts on agriculture. This is a crucial step forward, considering the increasing frequency of freak weather events and growing agrarian distress.